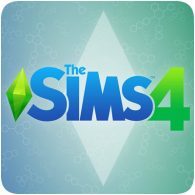 The Sims 4 has finally arrived on consoles – it’s been available on PC for a few years. Having played the previous PS2 and PS3 titles, I was eager to get my hands on the latest version – and the first Sims title on the PS4. This one-player game lets you control “sims” in a virtual world, where you can build your own home, seduce neighbours and generally play with life. “Time travel is always the problem not the solution”, is the motto of the Back to the Future movies and also of the game. 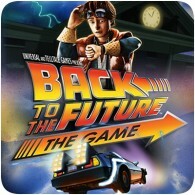 Back to the Future: The Game – 30th Anniversary Edition takes place after Back to the Future III and can be seen as the fourth Back to the Future movie. LittleBigPlanet 2 hits shelves next week, exclusive to the PlayStation 3. The first set of reviews have been released this week along with a brand new trailer of the game. The game is officially out on January 18th and the all the first reviews hail the title as another masterpiece. Check out some snippets of the reviews and the new trailer below. LOVEFiLM was recently released on the PlayStation 3, allowing LOVEFiLM customers to stream movies directly to their PS3. We’ve spent the past week trying out the service and are really impressed by what it has to offer. Its definitely a great addition to the PS3, and better value than the PlayStation Video Store. ModNation Racers follows on from what LittleBigPlanet started – Play, Create, Share; only with racing. ModNation Racers is all about Race, Create, Share. It’s a fresh take on classic karting games that involves lots of personalization from creating your own very own drivers, karts and even tracks. 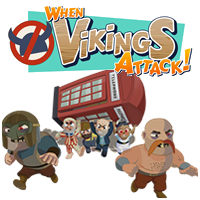 We got the opportunity to play the game before public release, and here are our thoughts. Kratos makes his first vicious appearance on the PlayStation 3 and he’s looking better than ever. This time, he intends to take his vengeance in full by destroying the throne of Olympus along with its godly inhabitants once and for all. With the game taking place immediately after God of War II, find out why this game is currently the next best thing to come on to your PlayStation 3 console. This review does NOT contain any plot spoilers.